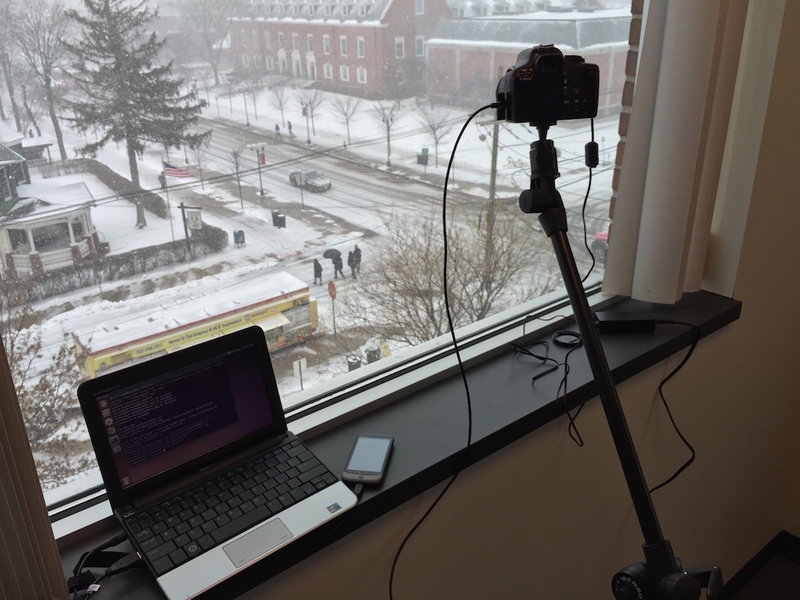 The impromptu setup of the SCC SnowCam. When the cam is active, the netbook uses gphoto2 to command the camera to take a photo. The raw image data is then pulled off the camera, auto-processed into a JPG with a visible UTC timestamp with ImageMagick, then uploaded to this server.